Disclaimer: I’ve been working remotely for almost five years, I’m biased, and I think remote work is the future of work. Here’s one reason why. 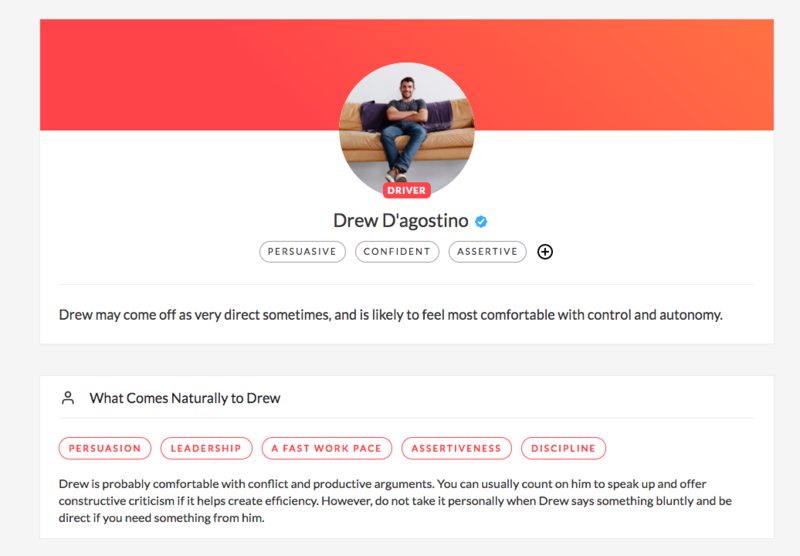 I’m also building tools to make remote work better. For some, the idea of working remotely is equivalent to laying around, watching Netflix (while working of course), and happy hour at 3pm. For others, they can’t imagine driving into the office, being constantly interrupted, and leaving at the end of the day without a sense of accomplishment. What causes this major difference in opinion? Where do they work? Does the culture support remote work? Does the job require constant interaction? I’ve worked at remote-friendly companies with less than 10 employees and more than 150. I’ve seen smaller companies struggle with remote work and larger ones be very successful at it. For a long time, I looked at the list of variables above and thought the most obvious limiting factor was the company culture. I still think this is partially true, however, there’s a major variable that flies under the radar. In fact, this reason may be one of the biggest contributors to why remote work isn’t more widespread. Yes, I get it. Remote work continues to rise in popularity, but I would argue it is not as prevalent as it should be, especially in the tech industry that prides itself on hiring a diverse workforce (but will only hire people who live within a 25-minute radius of the office). I need to lay out a few examples first before diving into the main point. THE REMOTE FRIENDLY COMPANY, BUT ONLY FOR A FEW OF YOU. I will periodically look at job boards and see that a company is hiring engineers (the positions are remote-friendly), but all the other jobs are onsite. Weird. Why? The company can’t hire enough engineers within a 25-mile radius of the office, so they are forced to look elsewhere for talent. In this example, a particular team inside the organization is unlike the others. If the company culture is a key contributor to being remote-friendly, how does this happen? How does a team inside an organization (that wants you to be in the office), allow a group of people to work remotely? I promise I will get to my main point, but I need to give another example to set the stage. I find this is more prevalent for non-technical people. The boss allows remote work up to a certain point, but they can’t cross over into being fully remote. That would be too scary. We can’t have that! Once again, the company culture isn’t fully supportive of remote work, but a particular team can periodically get away with it. THE MANAGER’S SCHEDULE IS HOLDING REMOTE WORK BACK. Many people (especially the further you go up the food chain) operate on a manager’s schedule. For those of who who haven’t read Paul Graham’s article, Maker’s Schedule, Manager’s Schedule, you should read it. This may give clues into why remote work is so popular for engineering teams? The manager’s schedule thrives on in-person interactions. I’d argue that the key tools in the manager’s schedule toolbox is the power of observation, back and forth interactions, and at its core, extroversion. When the manager’s schedule goes horribly wrong is when activity happens, but there is no meaningful output. The maker’s schedule thrives when the opposite occurs. It prioritizes output over activity. People-to-people interactions is not as much of a dependency to getting the work done. If people on the maker’s schedule tend to like remote work and people on the manager’s schedule don’t, how do we break down the barriers? I fundamentally believe that in order to make remote work more of a reality, we need to address the elephant in the room – people on the manager’s schedule tend to have a lot of leverage inside a company, but they also tend to dislike remote work. How do we get them onboard with remote work so it becomes more a reality for entire organizations? Should we even try? This may be a tall order, but I think we need to build stuff that takes the best of remote work (like asynchronous communication) and mash it with the stuff that people on the manager’s schedule care about. With that being said, we need to preserve what makes remote work great at the same time. Put simply, we need to be able to periodically “flex” across the continuum in the graphic above. For example, I’d argue that Slack is a tool that has made the idea of remote work much more realistic for people on the manager’s schedule. While it’s technically an asynchronous communication tool, it’s also used as an alternative to being in the same room, powering constant back-and-forth communication (which can be annoying). On the flip-side, remote work has its share of downsides, like the fact that people feel disconnected at times. A common solution to this problem is periodic on-sites, which is an example of “flexing” across the continuum. 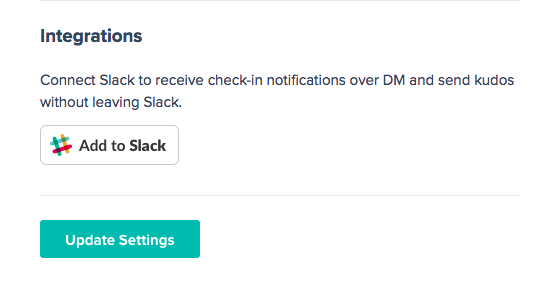 At Friday Feedback, we’re building asynchronous tools (a weekly check-in, daily standup, 1-1s) that make the manager’s schedule a bit more asynchronous, but they also help make remote teams feel more connected too. 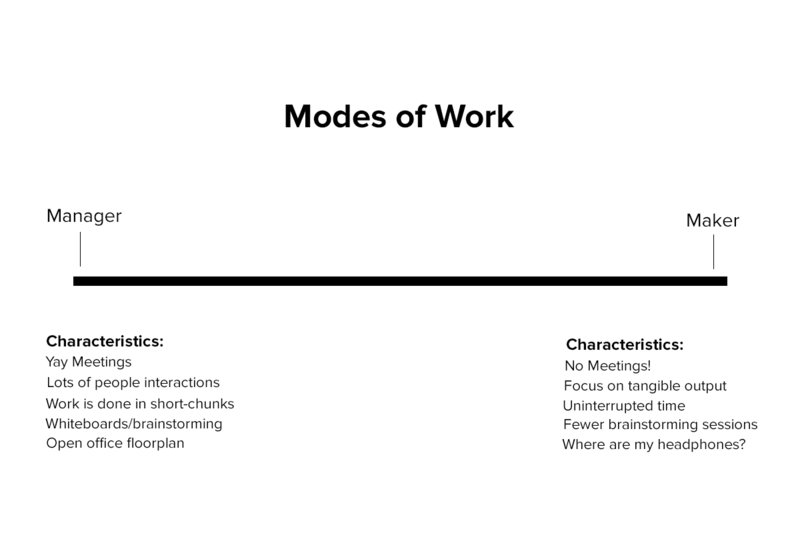 It’s all about finding the balance between these two modes of work and knowing when we need to flex. If we can do this, remote work will be much more common.